This ladies' collection of durable moto boots was made for the open road. 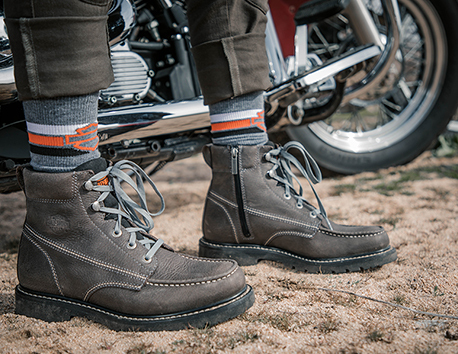 Dripping in classic H-D edge and styling, these tough boots to stand up to the test of time. Rubber slip resistant outsoles provide traction on oil and water. Full-grain leathers are abrasion resistant and shield against heat, dirt and debris on the road. Let these women's performance boots take you around every corner, and find adventure in every step.